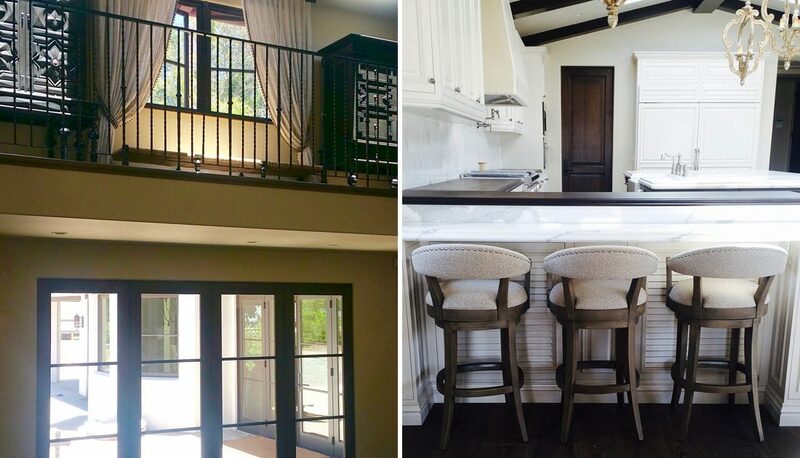 This was a special project for us, working with our cousin and her family in her newly built residence in Palos Verdes, CA. 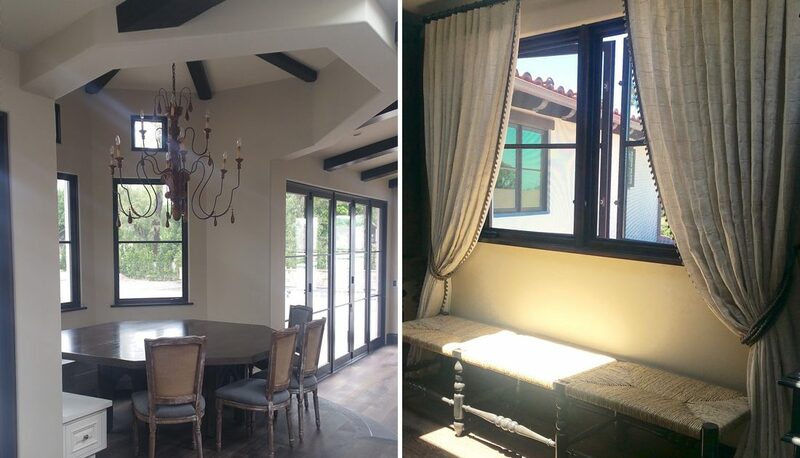 We chose a paint palette for the home that would feel neutral and airy and keep the visual accent on the home’s gorgeous rich wood architectural beams, doors and windows. 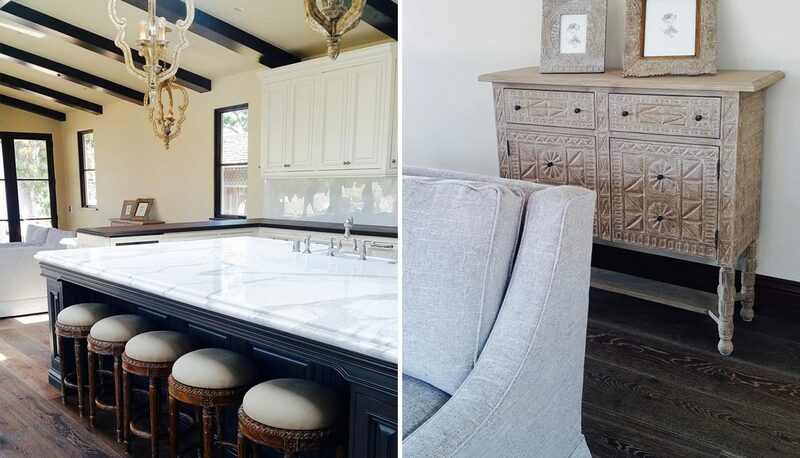 We chose updated lighting fixtures that related to Spanish and French styles — most of the lighting we selected was from Currey and Co., and Visual Comfort. Family room elements include a soft chenille grey sectional from Century Furniture, a plush rug, textured barstools at the peninsula and a carved accent chest—the room was furnished with cozy movie nights in mind. Heavy carved floor to ceiling cabinets were purchased for the upper hall which is seen upon walking into the home’s vaulted, second story entry. We also added a gorgeous ball fringed, linen pin tuck drapery to that space and a extra long rush seat bench to fit the length of the long hall. 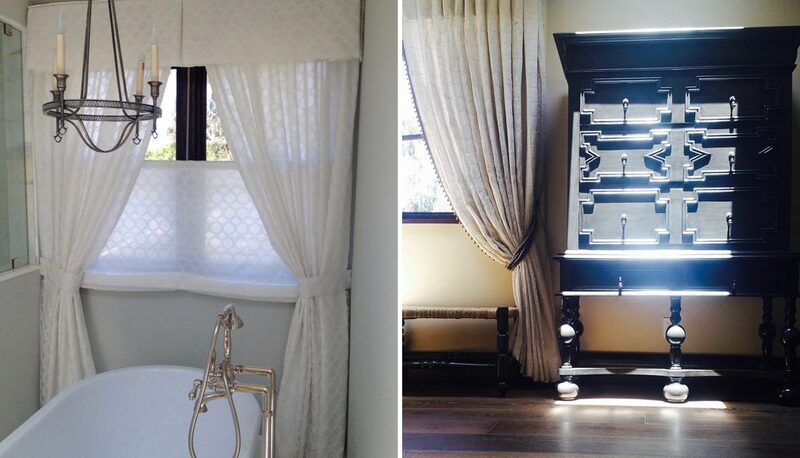 Master bathroom’s custom sheer white drapery includes a bottom up – top down shade with flanking side panels and valance. This design allows the shade to drop from the top for a view of sky and yet the room stays private. A huge 78” custom octagon table was built for their oversized dining nook which comfortably seats their family of 6 as well as their company.